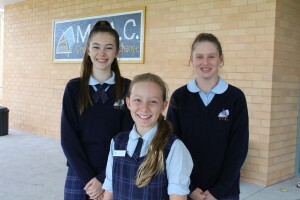 Years 3, 5, 7 and 9 students participated in the National Assessment Program – Literacy and Numeracy (NAPLAN) last week. I thank all students for working well during these tests and giving their best to all papers. The whole process ran extremely smoothly. NAPLAN provides us with important and useful information to inform our planning for students and our approaches to teaching and learning. The tests offer an excellent opportunity for students to rehearse their revision skills generally and examination skills, positive thinking and perseverance in the context of a timed assessment setting. On Monday, a small but talented collective of Year 5 and 6 boys travelled to Port Macquarie to compete at the Hastings Regional School Futsal Titles. After impressive victories over Camden Haven High School, St Columba Anglican School and St Clare’s, the boys went down gallantly in the grand final with fatigue being a considerable factor. 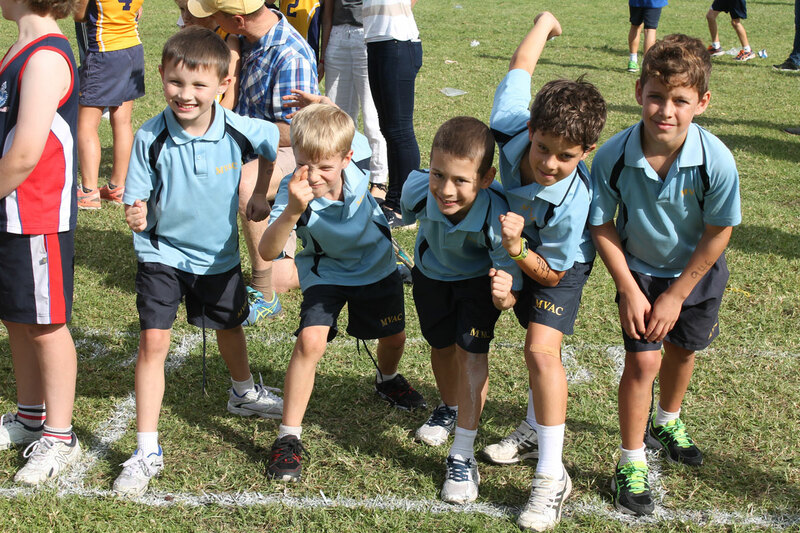 The boys deserve to feel exceedingly proud of their achievements on the day, especially considering the fact that they were the only primary-aged team in the competition. One of the standout performers on the day was Nathanial Deas from Year 6. I recently received word that Nathanial has been selected to play goalkeeper for the Football Mid North Coast Under 12’s South SAP (skills acquisition program) team and has also been selected to represent Football Mid North Coast at the State Titles in Coffs Harbour over the coming long weekend. Congratulations Nathanial, these are truly outstanding achievements! With the MVAC Extra-Curricular program in full swing it has been pleasing to observe many K-6 students willingly engaging in the wide variety activities on offer. 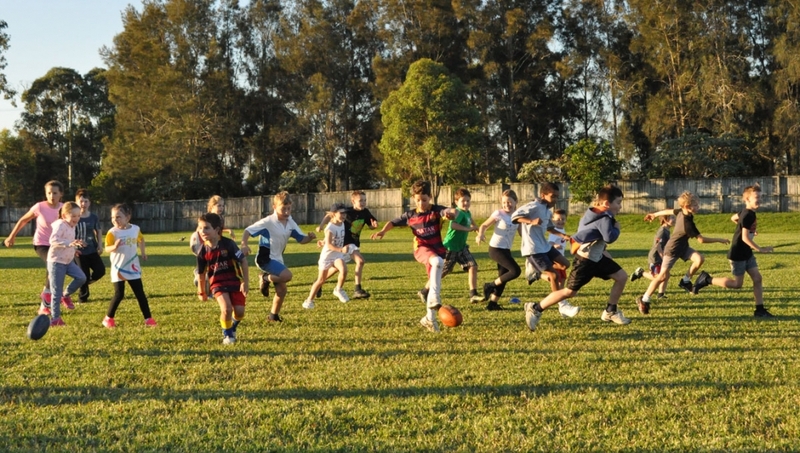 As the organiser of Tuesday afternoon’s AFL Auskick after school program, which is one of the selections on offer, it has been wonderful to not only witness the large number of students attending (30 for this week’s session), but to also have quite a collection of parents, grandparents and carers coming along to not only enjoy watching their children participate, but to also take the opportunity to catch up. On Tuesday 16 May Year 10 attended a careers expo at Port Macquarie Race Course. The Mid Coast Careers Market offered a broad spectrum of vocational courses, information on university pathways and current advice regarding training and business opportunities in regional areas. Visiting universities included Charles Sturt University, Southern Cross University and the University of Newcastle. 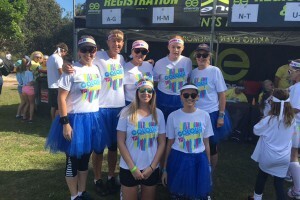 There was more focus at this year’s event on Apprenticeships and Training organisations including Hunter Valley Training Company, Mid Coast Connect, Verto and others. The Defence Force was also in attendance together with NSW Department of Education, Local Health Authorities, Councils and TAFE. Students had the opportunity to ask relevant questions from each of the organisations. I am sure the day will help Year 10 with their future career paths and subject selections. Mrs Therese Lloyd and her daughter Charlotte, Mrs Lidia O’Gorman and her daughter Kassy, and Ms Yvonne Geerts and her daughter Monique all joined me in the MVAC team at ‘Colour Ya World’ in Forster on the weekend. ‘Colour Ya World’ is a 5km fun run that is suitable for any age group or fitness level. Walk, skip, run, jump your way through an explosion of colour. We had fun wearing MVAC blue and keeping our hearts happy and healthy. We saw MVAC students getting in on the action and hitting us with colour… shout out to Jonty Green. In this week’s Newsletter we congratulate Portia, Harmony and Shaelee for their achievements at the Taree and District Eisteddfod. Portia has had great success in dance, placing 1st in both Demi Character and Contemporary, with a few sections still to come. Harmony’s dancing prowess earned her 3rd place in Modern Expressive, Contemporary and Jazz, as well as a Highly Commended in Classical. Harmony has a number of dances still to come in the next few weeks. Last but not least, Shaelee has sung her way to a 1st place in the Pop Song section and a Highly Commended in Australian Song. Shaelee also secured a sizeable Stage Door scholarship to help continue her career as a singer. Way to go girls! We look forward to hearing from more of our students about their Eisteddfod success. 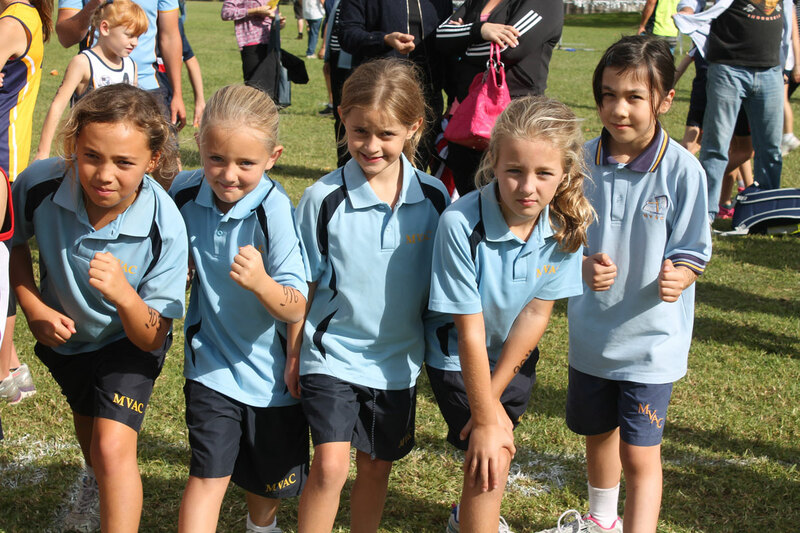 Congratulations to all of our runners who competed at the HRIS Cross Country Championships on Thursday, 4 May. Following this event the HRIS team has been announced. 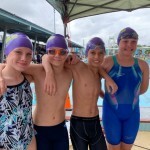 Congratulations to Jonty Green – 11 Years Boys who will compete at the NSW CIS Championships on June 15 at Eastern Creek. 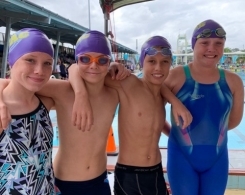 Also making the HRIS team was Tim Walker – 14 Boys who will compete at the AICES Championships at Blacktown on 1 June. Well done boys and to all of our competitors. 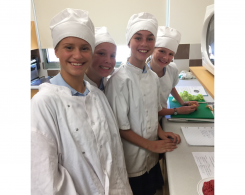 An Information night for Year 10 progressing to Year 11 for 2018 will be held on Tuesday, 6 June at 6pm. This is an important evening and will provide information about the HSC and subject selection including subject options that can be studied through TAFE and other centres while students are still at school. Our school offers a wide range of subjects, across all the curriculum areas at a variety of levels. In particular, we run each of the main courses in English and Mathematics right up the highest level of Extension 2 if needed. We also run all the major sciences of Physics, Chemistry and Biology and have a wide selection of course in the humanity and technological areas. The College will conduct school photographs on Monday, 19 June. This is a day that full winter school uniform must be worn. At the moment some students do not have all items of the winter uniform. This needs to be corrected as soon as possible.